When it comes to packing for a home move in Islington, tips on how to make things easier can always come in handy. It’s so easy for items to get misplaced or to end up spending a fortune on boxes and other moving equipment only throw it all away at the end of your move in the N1 area. Here is a guide to some tips that will turn you into a packing expert. 1. Take pictures on your phone. If you have wires or anything that has been put together in a certain way then take a picture on your phone before taking things apart. This is so useful at the other end when you realise you have no idea. If you want to get extra organised then you can even print to pictures off and keep it together with your wires or electricals. Particularity useful if you are packing for and office move in Islington, NW1. 2. Use clothes, towels and bed sheets as bubble wrap. There is no point buying a roll of bubble wrap when you already have protective things to move as well. Duvets can be great to wrap around vases and you can roll all your glasses in an item of clothing each, carefully packing it all together. You end up moving kitchen ware and bedroom items all in one go without spending unnecessary money. 3. Labels. It may seem like an obvious one but labelling items is essential to your relocation. Colour coordinate boxes to rooms and it will be so easy to point your man and van in the right direction. 4. Sandwich bags. For small removals or little items that are lying around the home, sandwich bags are a great way to keep things neat and tidy whilst also being able to see where everything is. 5. Shopping bags. There is always a moment when your moving professionals in N1 have left and you notice there are a load of things left over. Having a large shopping bag or two handy at the end is perfect for just throwing missed items in so you can quickly get on your way. 6. Write a moving checklist. A list in every room is a perfect idea to make sure you haven’t missed anything. You can also wander round and see how much you have left to do so that you can get a good idea of planning ahead. 7. Use a trash bag over your clothes. By simply putting a rubbish bag over the clothes that are hanging in your wardrobe you can move them easily on their hangers and simply hang them back up in your new home. They will remain clean and protected. 8. 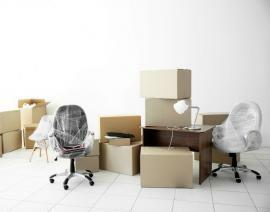 Use small boxes for heavy items so that you can’t over load them, then pack your lighter items in larger boxes. 9. Store small items in your shoes. Shoes can be a great way to keep bits and bob in. loose batteries, make up, flannels are all perfect to be easily contained in your shoes. 10. Use different colour duct tape on boxes to mark more important or essential items. For example use red on boxes contain things you will need to unpack first. 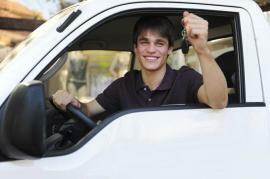 They will be easier to locate and get to foremost. Tips for packing can really change the way you move, an organised packer is a relaxed mover and you will be able to get on with all the other tasks that accompany a move in Islington. Make sure you leave yourself time and plan the days up to your moving day so that you don’t end up running out of time.